The FlashBelt conference is coming up fast. It is June 13-16 in Minneapolis, MN. It looks like they've a great set of workshops and sessions! Let me know if you're going and we can meet up. This lesson is for Blender users and SecondLife users! 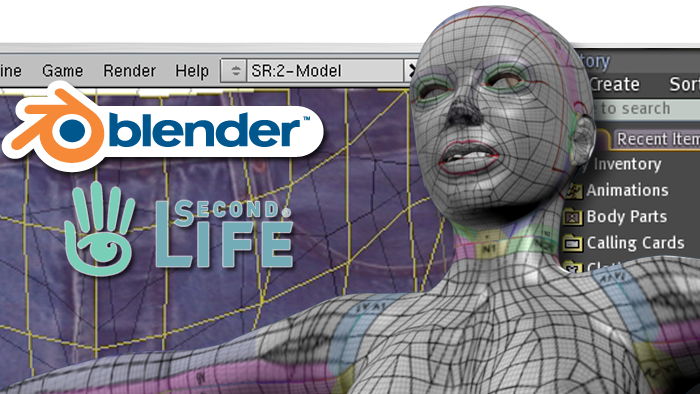 Whether you use Blender, SecondLife, or both, you'll get something out of this course. This section is for the Second Life user who has never used Blender. It will teach you enough of the basics to get started. In this part, you will learn to bring in one of the standard meshes and import in your images. After viewing in Blender, the image is brought into SecondLife and you are shown how to use it to create clothes in-world. This section deals with the skirt's mesh. Even experienced Blender users will appreciate this section. Use images to paint on your clothes with Blender's powerful projection painting features. You'll start from scratch (a blank image), and use four different photographs as your source images to create a UV texture. You'll also learn the tools, as well as the workflow, for using multiple source images. This technique is useful well-beyond SecondLife clothes. 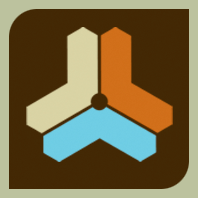 You can use it to create texture maps for illustration, animation, games, etc. Go further and learn the different OBJ import options and strategies to combine, group, and separate meshes. Then view the UV textures in the game engine and when they are rendered. You've done the tutorial, now watch a quick refresher on how to bring in the model and images to view the clothes in-world. "Concise, clear, patient delivery style, etc. But what really has that "BoB" golden touch is the 'Projection Painting' movie. OMG! Seriously!! Dude, I could've used that a few months ago when we were working on a 'Star Wars' game where we were asked to animate some idling Jawas (and their cloth robes*). Absolutely brilliant, Man!!" This month's CBUG meeting had 17 members show up by the end of the evening! We'll need a bigger room if this keeps up. Richard created the example as I talked through the fundamentals of Blender's Logic Bricks. Next month I'll do some basics of going from Logic Bricks to Python. It will be a shorter presentation, we'll still have time to socialize, but we'll also have a slot to have other Colorado Blenderheads show there recent work. Camtasia Studio 7 has a serious bug if you export to H.264 using the QuickTime option. You'll get nasty screen artifacts that do not occur in Camtasia 6 (or 5 for that matter). I reported it to Techsmith last month and I worked with a Techsmith engineer to demonstrate how to re-create it. They are going to do a fix with the yet-to-be-scheduled 7.0.1 release. In the meantime we found a work-around. Camtasia 7 has two different ways to create H.264 (from two different codebases). The buggy one is when you export using QuickTime. If you use the mp4 option for Flash, that one is not buggy. Two firsts for this video: it's our first 16x9 video and it is the first public use of the new Nyquist Art + Logic logo!